There's no better time than the present to clean out your closets and cleanse your home of unwanted items that are taking up way too much space! Of course donating is a wonderful option, but for your higher end stuff, you may want to consider the consignment route first. It's a great way to make a buck or two so you can buy more stuff! 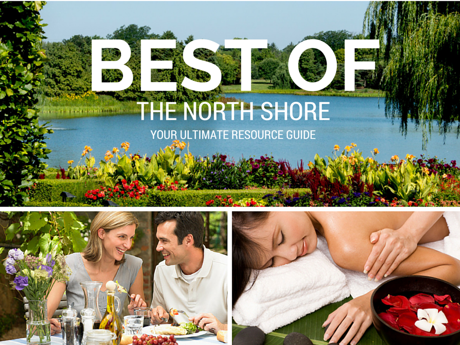 The North Shore has several high end consignment stores that make consigning easy and shopping for a great deal a whole lot of fun. Please note, each store has their own unique consigning policies about the type of items they accept and how and when they should be brought in. Please check each shop's website or call for complete details. The North Shore Exchange is a true upscale, resale shop featuring a well-edited collection of women's luxury and designer clothing and accessories, as well as beautiful home furnishings and decor. This is by no means a thrift store. Coveted items sell quickly in this adorable storefront. Items that do not sell within 30 days are marked down further. Consignors receive 50% of the final selling price. If you choose to donate here instead, you can claim 35% of the full retail price as a tax write-off since all of the shop's profits go to charities and non-profits benefiting children and families with the greatest need. It's a win-win for all. Donations and consignments are accepted by appointment only. Store is closed on Mondays. Will pick up furniture. Lorees's Closet is the premier luxury eBay store on Chicago's North Shore for women and men. They consign and sell luxury goods for individual, retail and wholesale clients across the United States to shoppers around the world. Loree's Closet will pick up the items directly from you or you can drop them off at their warehouse location, 10-3, M-F. Then they handle the rest, including taking photos and eBay/PayPal fees! You'll receive a 50/50 split for items that sell for $500 or less; 60/40 for over $500. (60% to the client). They'll even help you do a closet cleanse for free (inquire for details). You can check out their fabulous finds at: http://stores.ebay.com/Lorees-Closet. Crowded Closet has been in business since 1974. They offer a wide selection of upscale and mainstream women's apparel and accessories. To consign, bring in 10 - 15 seasonal items on hangers, Tue – Sat, 11-3 pm. If you have more than 15 items, call to schedule a time. Split is 50/50. Accepting spring items beginning March 1. Upscale new and gently used merchandise for women and children. Drop off merchandise Tuesday - Friday: 10:30 am - 4:30 pm, no minimum required. Saturday by appointment only if more than 15 items. They also offer complimentary pick-up with 5 or more items from high-end designer list. Sharing Unlimited is a resale boutique where they” refashion fashion!” Great merchandise - updated daily - includes gently used and new clothing, shoes, bags, jewelry and other accessories. They carry a large selection of designer and name brands at amazing prices! A true hidden gem, located in a warehouse off of 41 and only open on Fridays: 10 am – 6 pm or Saturdays: 10 am – 4 pm or by appointment. Princepessa Children's Boutique carries fabulous upscale resale, designer consignment, party wear, baby gifts, and goodie gags for newborn to teens, both boys and girls. No need to pay retail, especially for special occasion items that may only be worn a few times, and for tweens and teens shopping for their own big occasion, they offer private fittings. Open Tue – Sat, 10 am – 5 pm, closed between 3 – 3:30 on weekdays, however, hours may vary due to school schedules and holidays. Items may be dropped off for consignment anytime during store hours, 15-item limit for first timers. Still Adorable is an upscale children's and maternity clothing resale boutique. They buy and sell high-end children's clothing, games, toys, accessories, and more. Store hours: 10 am – 6 pm, Tue – Fri., 10 – 5, Sat. Sunday hours vary. Please contact them for consignment details. 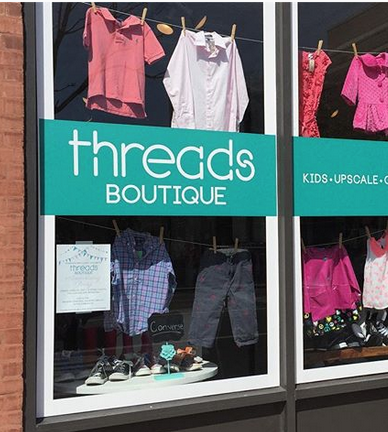 At Threads Boutique you’ll find all the top brand clothing for kids at a fraction of the retail price. They carry new and like-new children's clothing (boys and girls sizes 3 months - 14), shoes, specialty items such as leotards, dance shoes, cleats, fancy dresses, and suits, and a nice selection of new accessories and gift items. Tues., Wed., Thurs., Sat: 10 am – 5 pm; Fri: 10 am – 3 pm; Sun: 11 am – 2 pm. Drop offs: During seasonal consignment times, you can drop off your in-season items anytime during regular store hours. They consign baby gear year-round, regardless of season. If you are unable to make it during those hours, you can schedule an appointment. 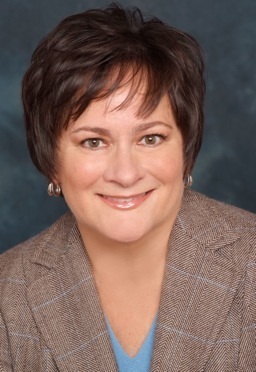 Turn the Tables specializes in upscale furniture consignments and custom painted furniture. Their goal is to bring new life to old pieces through finding them a new home or recreating them via decorative painting and architectural embellishments. They offer a unique, boutique atmosphere and take great pride in how items are merchandised. Standard consignment period is for 30 days. Consignors receive 50% of selling price and there is a 15% reduction after each 30 day period. Village Treasure House is a unique, not-for-profit furniture, home furnishings and housewares consignment shop with over 100 dedicated volunteers. From dishes to breakfronts, they've got it all. When you consign, donate and shop here, you are supporting an amazing group of 17 local agencies that benefit women and children in crisis. Hours: 10 am – 5 pm, Tue – Sat, walk-in consignments accepted Wed – Sat – 10 am – 2 pm. Please call for more details about larger items and furniture consignment. 90 day consignment period. 50/50 split, with items discounted 15% every 30 days. Anna's Antique and Art Consignment was established in 2000 to provide a platform for those who have a finer taste in furniture but are either not willing to pay or cannot afford the price that typically comes with this kind of workmanship. The store features a variety of furniture, home furnishings and unique accent pieces including vintage portraits, chandeliers and a whole lot more. Once items are approved, furniture pick up service available. Hours: Mon – Sat 10 - 5; Sun 12 – 5. 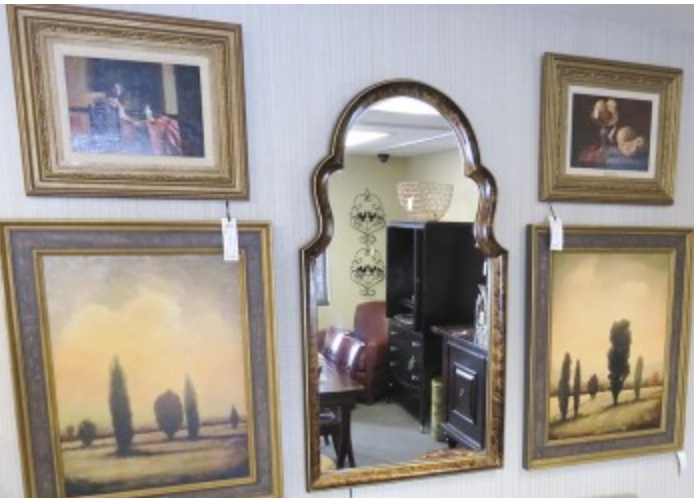 Originally an estate sale business, their newish endeavor is to bring in consignment items from their clients who can’t have on-site estate sales. Customers get the benefit of unique decor at estate sale prices without having to deal with estate sale crowds. It’s an ever-evolving inventory of upscale furniture, art, tabletop, jewelry & designer fashion accessories. Hours vary, please call ahead to see if they are open or schedule an appointment.